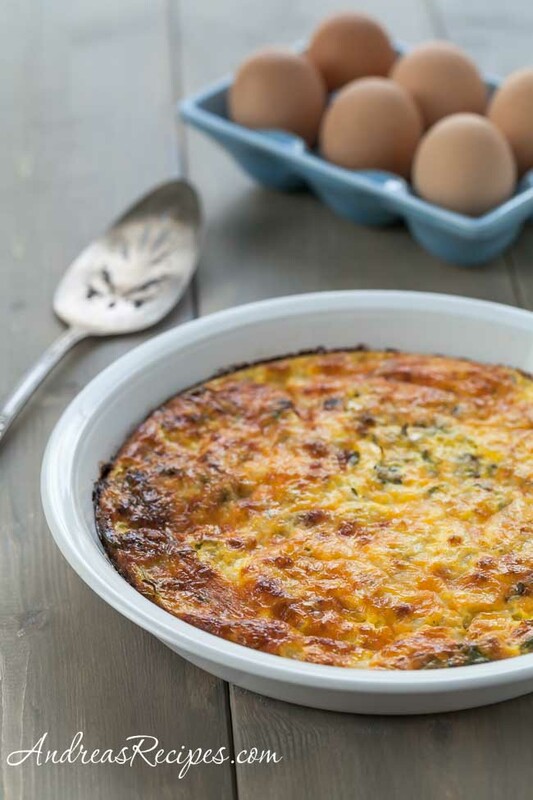 This crustless quiche recipe from Aunt Joey is tasty and easy, and a great way to use leftover ham. There are plenty of variations and our favorite is with Sauteed Spinach. Making this gluten-free is easy since there is no crust, just make sure your cottage cheese and ham are gluten-free. The recipe is for a 9-inch pie plate. 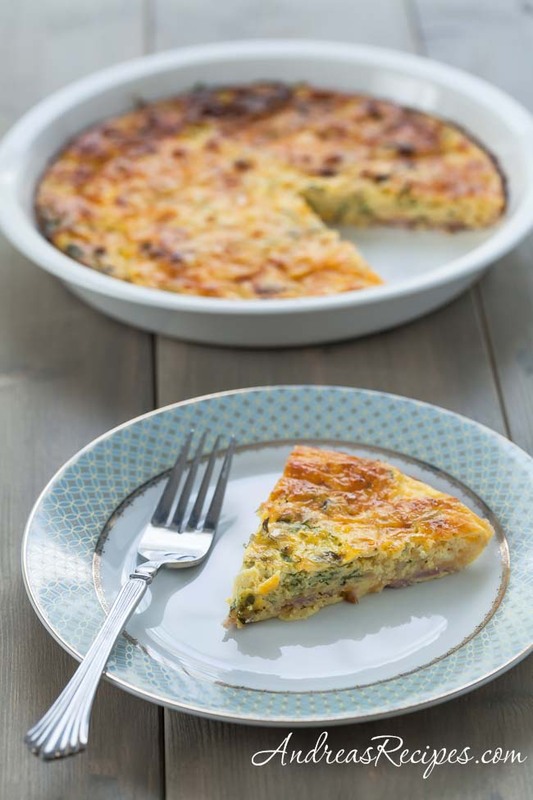 If you use a quiche pan, increase the ingredients by half. Made this tonight for dinner. It was super easy and gluten free for my family! I added broccoli and a little onion, and 1 extra egg. It had a great taste and I’ll definitely make it again! Thanks!!! I love this quiche so much!! I made it for the women I work with for a potluck lunch, and this quiche was the most popular dish there!! The only thing I did differently is that I used half fat free and half light cheese, and I used fat free cottage cheese. I also made mine with sauteed red peppers and onions. It was so good, no one could tell I didn’t use full fat ingredients!! Thank you so much for this recipe! !